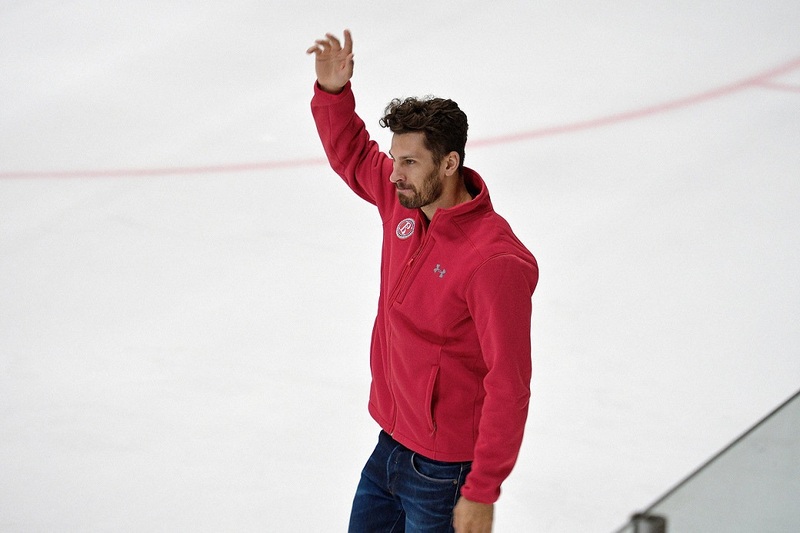 During the offseason, Vityaz signed two veteran international players on which the coaching staff, undoubtedly, has high hopes to help to fulfill the primary task of the season. Vityaz wants to show that missing last year’s playoffs was just a fluke and that they are ready to fight to reach the postseason. KHL.ru correspondent talked with Joni Ortio and Marek Hrivik during the team’s first practice on ice. Some years ago, Joni Ortio was one of the most promising Finnish goalies. He played for the Calgary Flames at just 22, but after three years he had to leave the team. He was much more successful in Europe. 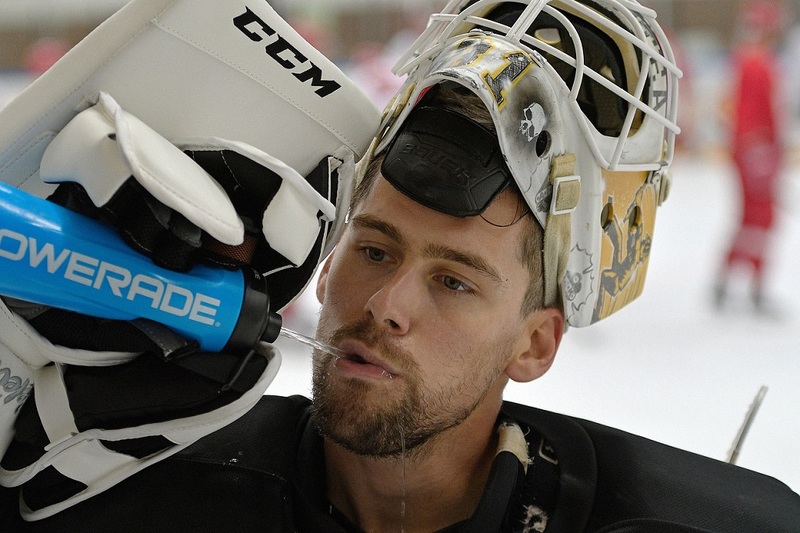 He backstopped Skelleftea to the SHL finals and was the author of the save of the season. Marek Hrivik moved overseas in 2010. The then-18-year-old had a goal to play in the NHL, but it has been a long journey. The Slovak played his first game for the New York Rangers in the 2015/2016 season, although he earlier won a QMJHL title. After the triumph, Hrivik mostly played in the AHL, scoring on average about one point per game. Last year he played three games for Calgary, and the now-veteran player decided for a change of scenery. Ortio: I arrived a bit more than a week ago, and I liked everything. Good people, a great organization. When I understood that Vityaz wanted to sign me, I got Harri Sateri’s number. He’s my national teammate, and I know that he played here for three seasons. Harri didn’t say a single bad word about Podolsk, and thus I decided to sign. Hrivik: I consulted with Vojtech Mozik, whom I know very well. He told me that everything here is on a high level and I didn’t think twice about signing. Ortio: I was cheering for Portugal, but in general I was just enjoying good football. In the finals, I was cheering for Croatia. You know it yourself, because of Borna Rendulic! Russia played well, and I have to say that I was even a bit surprised that the team went so deep into the playoffs. It has been a great achievement! I couldn’t get to the center of Moscow or close to the Red Square, but I saw that it had been a great party. A fantastic time for Russia. Hrivik: I was in Moscow, and I noticed the massive number of fans. I wonder, what will happen once the WC is over? Ortio: After the 2015/2016 season I have been told that the Flames wanted to sign me back. But then Bob Hartley was fired and most likely, at that moment the team underwent many changes. I am not sure why we parted ways. Anyways, what happened was just something that happened. I played two years in Sweden, and now I’m here. By the way, in the games against Avangard Omsk, where now the coach is Hartley, I’ll double my effort as I want to show that we are the better team! Hrivik: I wasn’t drafted, but many players sign in the NHL as free agents. Of course, it’s good when you are picked, and you are already there. But there are many local players who sign in the NHL after playing in the NCAA. Thus you shouldn’t surrender just because you weren’t drafted. Regarding my departure… Simply there were many new things on the team, and I wanted a new challenge in a new place. Ortio: Very simple. I just got the puck in my glove when I was moving from right to left, and I saved my team. I was a bit lucky. Hrivik: That time I had a bad pass to one of my teammates. The puck ricocheted on the boards and got back to me. It can be said that some good luck smiled on me, I shot and scored. Ortio: For now, I mostly talk with international players, Rendulic and Mozik. We live in the same place in Podolsk, and together we move from home to the arena. I am starting to talk more and more with the other guys; we have many great guys on our team. Hrivik: I just came. Now we started the preseason camp, and the practices are pretty hard. But we do have a great atmosphere, and we have a lot of great guys on the team. Ortio: It would be great to talk it fluently. I learned a few words, but it’s definitely not enough to talk or to understand when others talk. Hrivik: As a first thing you should learn the language because it’s critical. You need to understand what other people are saying, about what your teammates are talking. I will learn Russian to be able to understand my teammates. I already found a teacher, but for now, things are going slow. However, Russian and Slovakian are quite similar, and it helps. 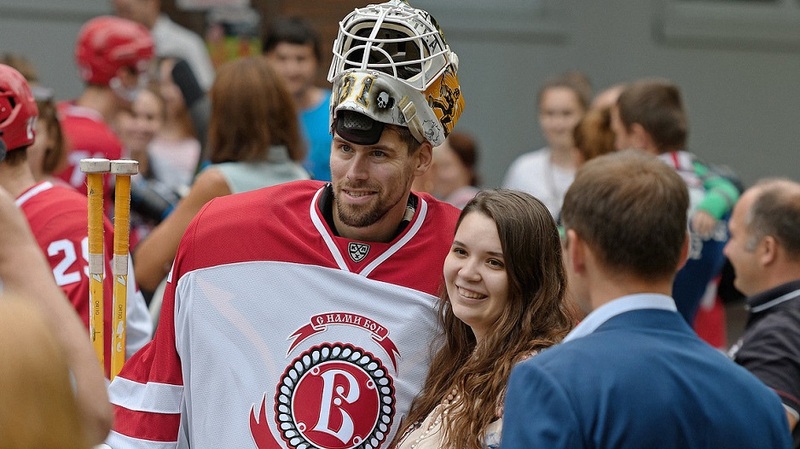 Ortio: I had a chance to play in different cities, Calgary has more than one million people, of course, you can't compare it with Skelleftea or Podolsk. But there is a thing that unifies all the three cities: people who live there is crazy about hockey. Especially in Calgary. It’s great to live in a place where you see so many fans. I really can’t wait for the season to start. Hrivik: I can say that I had a good time playing overseas. New York became the second home for me. But now I’m at the other end of the world, in Russia. It’s a new challenge, and I’m ready for it. Ortio: In Calgary, I played with Karri Ramo, who is now in Avangard. He’s a great guy, and we often spend time together. Yes, we were competing for a spot in the team, but it doesn’t mean that we can’t be friends. I think that having some internal competition is a good thing because it gives you more motivation. You want to be better every day. And now it will be the same with Igor Saprykin. Hrivik: Now I am mostly playing with Borna Rendulic. It’s the first time that we met. Therefore we need to know each other more and to create some chemistry on the ice. Regarding my style, I love playing the puck. I’d call myself a playmaker, a player who likes to pass the puck. 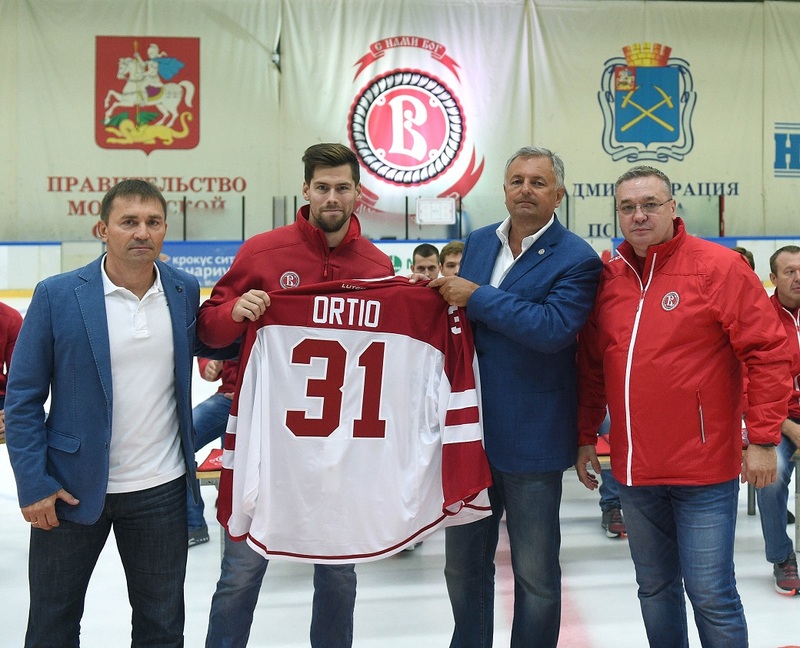 Ortio: The KHL is the second league in the world. I think that it’s great to play here. It’s a challenge for me. I really want to be as successful as Harri Sateri was. We need to work together to get to the playoffs. Our goal for the season is simple: to win as many games as possible. We have a good team with fast and strong players. I think that it’s a right mix! Hrivik: We need to start winning right away to get to the playoffs. Moreover, the next IIHF WC will be in Slovakia, and I want to take part in it. I also want to see many happy faces at our games. We’ll do our best to make you happy. I hope that it will be fun!